pH and ORP Probes provide differential measurement. Designed to stay in service, PHETX-600/ORETX-600 Probes provide accurate measurements under conditions that render conventional probes inoperable. Units feature integral 2-wire 4-20 mA transmitter, 15 ft long cable, and built-in pre-amp that supports up to 3,000 ft sensor-to-analyzer distance. Automatic temperature compensation is provided on pH versions. Applications include process control, water treatment, food and beverage, chemical processing, mining, and power generation. Omega introduces its new pH and ORP differential probes that stay in service and provide accurate measurements under conditions that often render conventional pH probes inoperable. These probes feature integral 2-wire 4 to 20 mA transmitter, a built-in pre-amp that supports up to 914mm (3000') sensor-to-analyzer distance, 4.6 m (15') standard cable length and automatic temperature compensation on pH versions. Applications include: process control, industrial and municipal water treatment, food and beverage, chemical processing, and mining and power generation. Interface Verifier tests press and robotic connections. 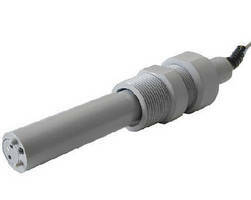 SGP30 Multi-Pixel Gas Sensor comes with two air quality signals.